Tough Questions Part Two | Less. More. Abundantly. In a previous post I shared loving abundantly means asking the hard questions. I related it to friendship. As is often the case, as soon as a revelation hits, an opportunity to put it into practice comes around. It was 1 a.m.. Weary and near blind from staring at Olympics all night we finally settled in for sleep. The fan humming and the dog snoring, I should have drifted away immediately. Instead I was itchy on the inside. I needed-something. Taking a deep breath I popped out of bed and went for it. I asked him the hard questions. Without rancor, without angst, I laid it all on the table. After sniffling and snorting my way to a conclusion, I waited. He is the epitome of still waters running deep-I knew he is worth the wait. He then laid it on the table. All of it. Most was hard to hear as I can really do nothing about it. However, things needed to be said and not only heard, but acknowledged. We are arriving at the answers because we both were able to ask the hard questions. This time we will cross the finish line together. 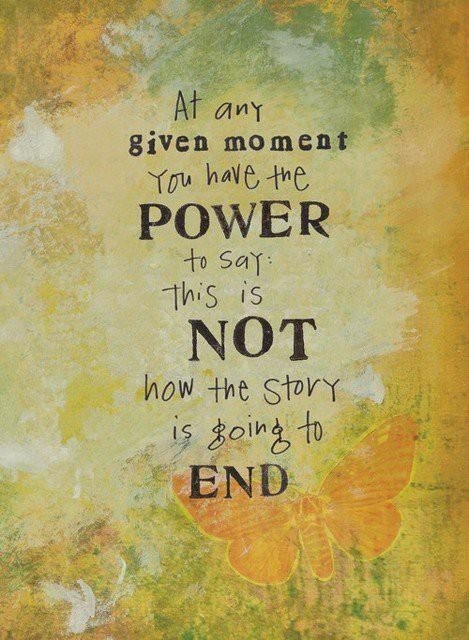 We can and will change how the story ends. If we ask the tough questions. I really like that idea of loving abundantly (and right now it nearly drives me mad to know that my partner isn’t able to understand that idea). You write very beautiful and I like the picture. Greets, Julie. JulieKay thank you for your kind words. My husband and I have been together nearly 23 years (18 as husband and wife). It has indeed been a long road but one worth taking. I pray your partner would recognize that you are worth crossing the finish line to love abundantly.